The U.S. credit reporting system keeps detailed financial histories on more than 200 million Americans. 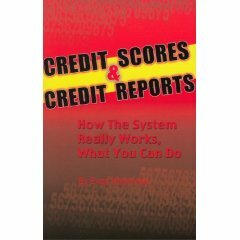 Evan Hendricks' Credit Scores & Credit Reports is a well-informed, informative, and well-written guide to a subject of great and growing importance to consumers. Hendricks, a foremost privacy expert, examines in detail the credit scoring and credit reporting systems and helps consumers understand what they can do to improve their credit scores and ensure that their credit reports are accurate. Hendricks also explains how the system sometimes doesn't work and how consumers have been frustrated in their efforts to correct errors in their credit reports. According to Hendricks, there is also a link between credit reports and the burgeoning problem of identity theft. Other topics include: how credit card companies use credit scoring to raise your interest rates; the role of credit scores in auto and homeowners insurance; the difference between mortgage rates for consumers with excellent, good, fair and poor credit scores; the damages to consumers and their creditworthiness flowing from credit report inaccuracy and identity theft ; credit reports and debt collection; the debate over credit scoring and discrimination; the politics of credit reporting.